Nintendo of America's president Reggie Fils-Aime has hit out at Sony's strategy for the PSP Go, claiming that it suffers from a "fundamental concept problem in terms of 'Who it's for?' and 'What's the benefit?'" Fils-Aime also said that Nintendo had no plans to move into the 'phone space' and that the company was set to continue to focus squarely on games. "I have the utmost respect for all our competitors," the Nintendo boss told the Washington Post, "but it's interesting to try and answer the consumer question of 'What's in it for me?' 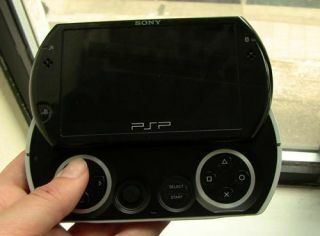 in that product [PSP Go]." Interestingly, Fils-Aime still thinks that the games industry has some way to go to reach the mass market acceptance it has craved for years. "We're moving from being a niche market into the mainstream," he said, "but we're not there yet." Following Nintendo's recent announcement of the first price cut for the Wii since the console's launch, games industry analyst Michael Pachter claims that: "Nintendo is a victim of its own success now, because sales of anything less than 25 million a year for the Wii looks like a failure... But they're still selling more consoles than the other guys." Discussing the potential threat in the mobile gaming space presented by Apple's iPhone, iPod touch and super-successful App Store, Fils-Aime still maintains that new games such as Scribblenauts "can only be brought to life on the DS," adding that Mario Kart DS, Nintendogs and New Super Mario Bros. are all "very unique and very different and what you cannot find on their App Store." Though the Nintendo of America boss was still adamant that Nintendo doesn't "have a desire to get into the phone space. We think the game business is competitive enough."